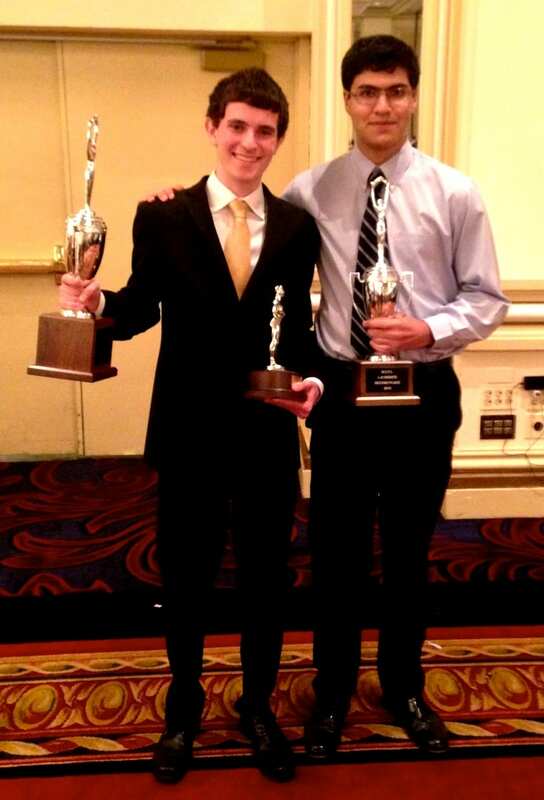 Congratulations to Harrison’s Danny DeBois and Scarsdale’s Rahul Gosain for reaching the final round of the 2014 National Catholic Forensics League Tournament. On a 4-1 decision, Danny was declared the champion. Danny is the 2nd debater in history to win both NCFL and TOC. Danny is coached by Chetan Hertzig and Henry Zhang. Rahul is coached by Joe Vaughan, Joseph Millman, and Coach Doug.